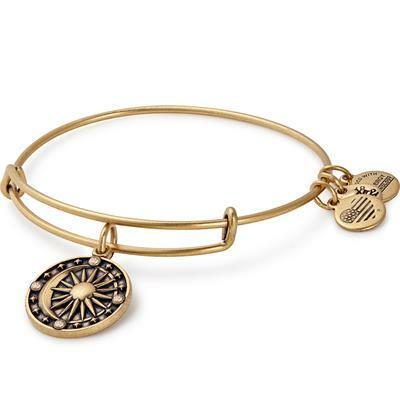 Channel cosmic energy with the new ALEX AND ANI symbol, Cosmic Balance. Moon and sun, yin and yang: the balance of nature is essential. One force without its opposite is powerless. The moon reflects the light of the sun, illuminating the night when life rests and restores itself. Manifest your dreams with the power of masculine and feminine energy. When both align, all is possible. This fabulous symbol hangs from an expandable wire.